Diane and one of the two site guides we encountered. 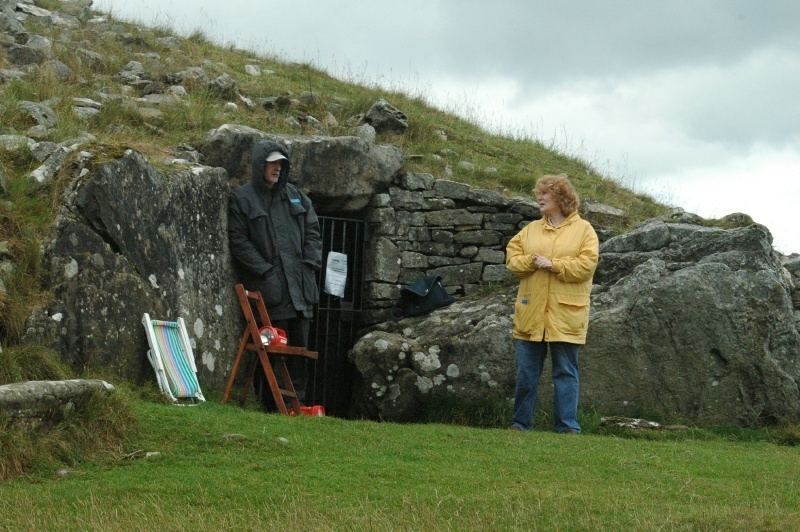 This one, named George, took us into the passage grave and gave a very nice explanation of what we were seeing. When we arrived at the summit, there was no one else there, so it was a private tour. All told, we probably saw about ten to 15 other tourists during our entire two to three hour visit to Loughcrew.